Tottenham have been on something of a title charge this season. Were it not for Chelsea’s irrepressible winning machine, Spurs would surely be casting their eyes towards the Premier League trophy and the possibility of their first title win in the modern era. Mauricio Pochettino’s charges lie seven points behind the Blues but comfortably clear of fifth-placed Manchester United, who are 11 points behind. Champions League qualification is all but achieved, but they must remain wary of this weekend’s opponents and their star striker. 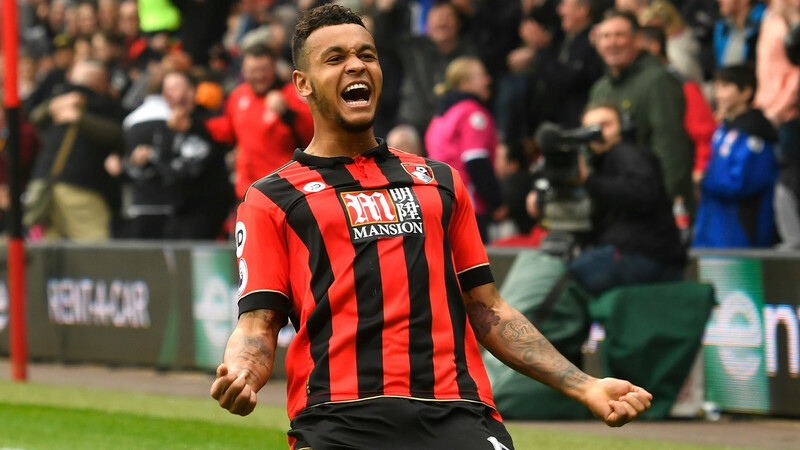 Bournemouth and Josh King have been quietly impressive in the Premier League this season, and the former Manchester United striker is just the kind of player who could derail Spurs’ title challenge. Something of a nomad prior to his move to the south coast, King began his career in Norway before switching to Manchester United at the age of 16. The striker, blessed with searing pace and, as evidenced this season, a keen eye for goal, struggled for a breakthrough and was sent on multiple loans – first to Preston North End, then Borussia Monchengladbach, followed by Hull City and Blackburn Rovers. His maturity was not yet visible, however; he scored just four times for Preston, Gladbach and Hull combined. Blackburn, though, saw something in King’s raw talent, and made his loan move permanent. Though he would only score eight goals in total for the club, he did enough to earn a move to Bournemouth and he has since thrived, scoring goals for fun in a team built around hard work and even harder running. “When I first started to work with him, I believed he could be anything he wanted to be,” Eddie Howe, his manager, said recently. “He has everything that he needs to be a top-level player. I still feel the same way. It’s just a case of trying to work with him every day to get those improvements in his game that we feel he needs. Howe has every right to be impressed with a player who has allied his speed to an impressive technique, and who is no flat-track bully. King has scored goals against Liverpool, Chelsea and former club Manchester United. He netted twice against Everton, and also scored a hat-trick against West Ham. In 31 league games, King has 13 goals. He could have scored four against the Hammers, but that he still managed to net three is a testament to his mentality. King missed an early penalty, sending it wide, but his goals were of the highest quality. The first was almost balletic, as he flicked the ball over his head before poking it home, while the second, and third, showcased his awareness in the box, and his ability to lose his man prior to tapping home. King is a handful, and in his last 11 games he has scored 10 goals. He has scored more than Jamie Vardy, Troy Deeney, Son-Heung Min and Theo Walcott, and Spurs must be wary that they do not become King’s latest victim. If they are to continue their title challenge, they will have to ensure that the prodigious Norwegian fails to find the net.